For those of you who couldn’t make it to Top Ryde, Hobbysew Erina have organised an Husqvarna “Foot Night” on 19th September 5.30pm – 8.00pm. Phone 4365 1127 to book in. You’ll have lots of fun! Everyone had a really fab time at Top Ryde’s recent “Husqvarna Feet Night”. Lindsey is a great teacher and she captivated her audience with her practical approach to demonstrations, made it look effortless and easy for customers to see the benefit in purchasing the different feet. 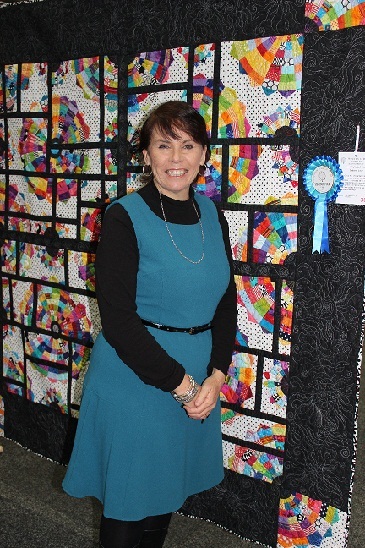 Rave reviews all round with plenty of people purchasing accessories to make their sewing easier and more fun, and the Husqvarna Club welcomed one new member. So keep an eye on Top Ryde’s class list for upcoming evenings with Husqvarna for your chance to join in. 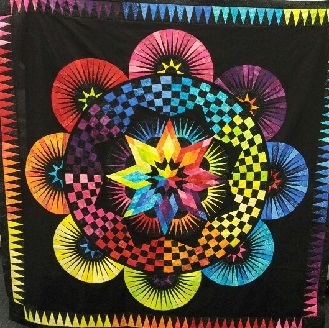 Michelle Higgins from our Erina store has just completed one of Jacqueline de Jonge’s new colourful designs. You have to agree it’s colour is stunning and looks almost 3D! 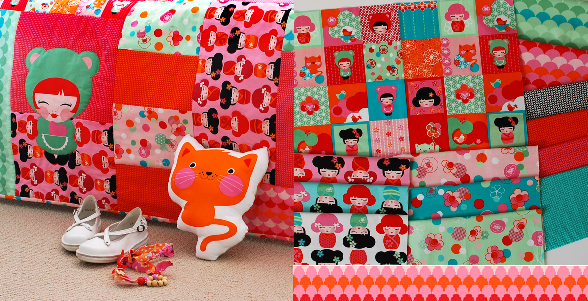 This pattern is now available at Hobbysew and in 2014 Hobbysew Erina will be running classes to sew it. Posted in Classes, Erina, Make It! 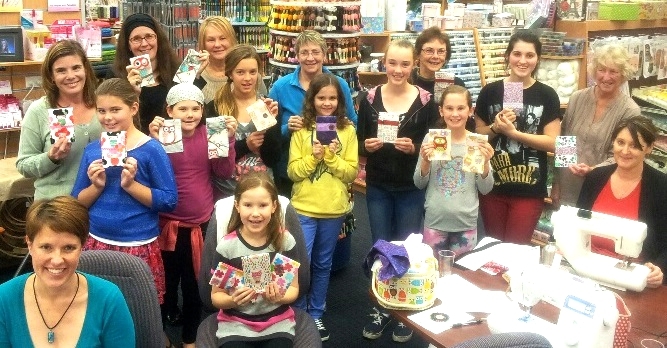 Good to see young girls following in their mum’s and nanna’s footsteps when three generations came together at Erina to have fun sewing a notebook cover and glasses case. 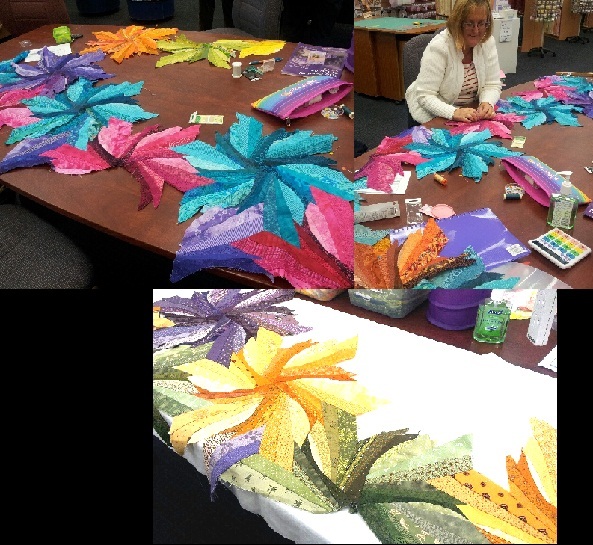 Lots of love and a little bit of learning in this fun class at Hobbysew. NEW Term 3 Class Lists are out now! Here at Hobbysew, we love what we do and we have many teachers and staff who love to pass on their expereince and passion. 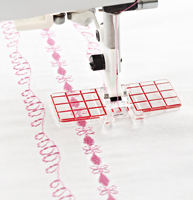 We offer a variety of different classes such as hand quilting, sewing and Machine embroidery classes. So don’t miss out and learn and grow with us! Click here to see the classes online or click on the links below to download the PDF. You can print it out at home! 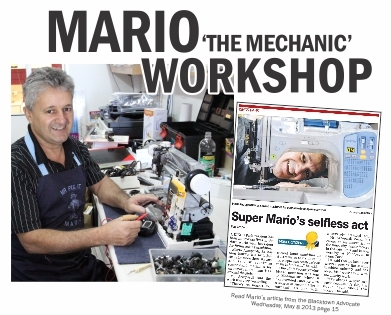 Learn from one of the best known mechanics in our industry. He has seen it all and would like to pass on his wealth of knowledge to help you maintain and get the most life out of your machine. No need to bring anything. Small goodie bag will be provided.